Happy Holidays From Zippy Shell! 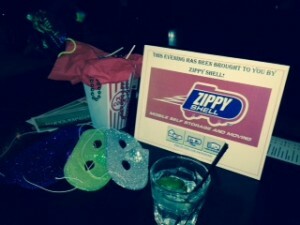 The Holidays are a time for gathering, giving and celebrating and Zippy Shell Chicago was proud to kick off the Holiday Season by sponsoring Red Tape Theatre's 2015 Masquerade. The event, emceed by ChicagoÃ¢â‚¬â„¢s own Madam Barker, was a celebration of the unique work produced by Red Tape Theatre, quickly becoming recognized as the foremost producer of new and experimental theatre in the city. Be sure to check out their latest production, " The Walk Across America for Mother Earth" opening at the Steppenwolf Garage in February! As for Holiday giving, Zippy Shell Chicago is happy to be teaming up again with Common Pantry this season to help distribute food to those in need. Common Pantry works year round to help stamp out hunger in Chicago. Naturally, our Zippy Shells are perfect for moving large quantities of food around the city and weÃ¢â‚¬â„¢re always eager to assist. To find out how you can help, visit their website at www.commonpantry.org. Zippy Shell is all about organization, (which is why we are always touting our convenience and affordability), but our partners at NAPO Chicago are masters when it comes to organizing! If a Zippy Shell isnÃ¢â‚¬â„¢t enough to help you downsize or de-clutter, our friends at NAPO Chicago may be just what you need. TheyÃ¢â‚¬â„¢ll help you find the right professional organizer for your needs and have your space in order in no time. 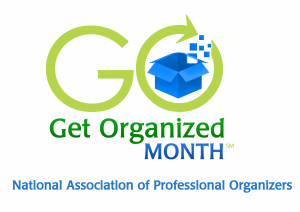 While thereÃ¢â‚¬â„¢s always no better time than the present to get organized, January just happens to be National Get Organized Month! So shake off those post holiday doldrums by calling Zippy Shell for all your extra stuff and visit NAPO Chicago at www.napochicago.com for more tips on how to get organized! Moving Cross Country? We Can Help! We now offer full service container moves to most major cities throughout the country! Moving with Zippy Shell is the most affordable, convenient, safe and secure way to move. No more loose items being transferred from truck to truck. No more wondering your favorite box of pillows will arrive or worrying about your guitar mysteriously disappearing. Your items are packed and secured in the shipping container (with YOUR lock) right in front of your house. Call us for a detailed door to door quote. Here at Zippy Shell, our customers are our favorite gifts. ThatÃ¢â‚¬â„¢s why we take pride in being there when they need us, from the first phone call, through the entire process. Our customers have expressed their gratitude for our hands on approach and we've pledged to keep up the good work. So, on behalf of all of us, thanks for a great year, your kind words and most of all, your business! See you in 2016!